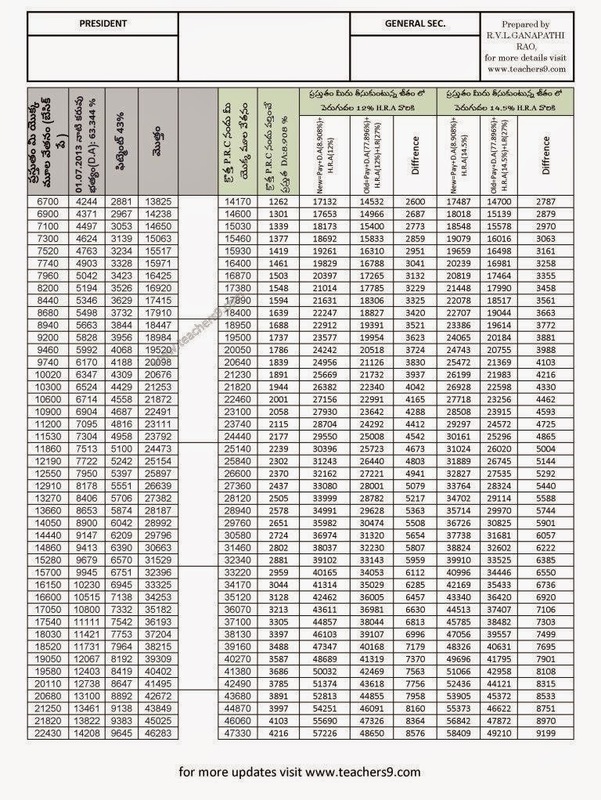 Andhra Pradesh C.M, Mr.N.Chandra Babu Naidu recently announced new PRC fitment details.So dear friends I prepared new PRC SALARY DIFFERENCE TABLE for all unions which is very user friendly and in telugu.In this PRC SALARY DIFFERENCE TABLE you can easily compare old total salary and new total salary in addition to that you may get the enhancement of your total salary exactly in new PRC. Dear friends who want to supply this PRC SALARY DIFFERENCE TABLE with your UNION name just download this file. After download this file just enter your union name,president name,general secretary name,and their phone numbers. 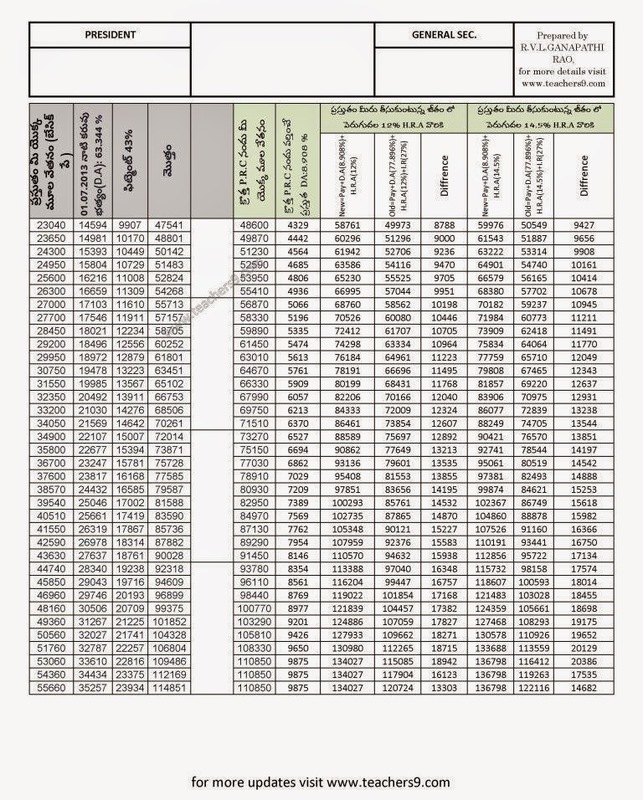 Then you will get the PRC SALARY DIFFERENCE TABLE with your entered details. Take print out and supply it to your colleagues. the model empty table is here to get an idea. so dear friends if you find any deviations in this PRC SALARY DIFFERENCE TABLE feel free to contact me.I will modify immediately.